Written in the spirit of Jonathan Tropper and Matthew Quick, with poignant insight and wry humor, The Young Widower’s Handbook is a testament to the enduring power of love. A Philadelphia native, Tom McAllister lives in New Jersey, teaches at Temple, and is a graduate of the Iowa Writers' Workshop, an editor at Barrelhouse, and the author of a memoir, Bury Me in My Jersey: A Memoir of My Father, Football, and Philly. 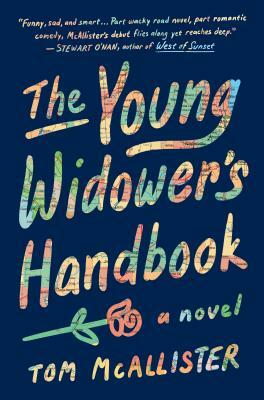 The Young Widower's Handbook is his first novel. "The vivid romantic reminiscences and startling humor make McAllister's debut novel rather life-affirming."